Planète Chocolat offers you secure methods of payment. Our delivery charges for Arizona are €17.90 including taxes. 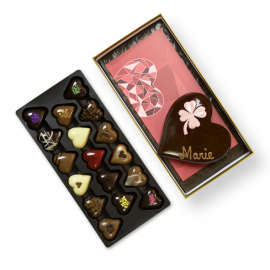 Do you want to discover the joys of Belgian chocolate or send a chocolatey gift to those close to you living in Arizona? Birthdays, weddings, births, Valentine’s Day are more than enough occasions that you can use to their advantage. 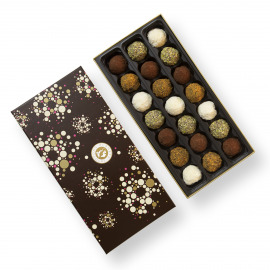 Whether they live in Phoenix, Tucson, Mesa or even Chandler, we encourage you to use Planète Chocolat’s delivery service to send chocolates across the entire state! Located in the South of the U.S. and surrounded by California, Nevada, Utah, New Mexico and the Mexican states of Lower California and South Sonora, Arizona is one of the four states that are apart of the “Four Corners.” This is a unique place in the territory where four states meet at one exact same spot. North Arizona is home to some spectacular sites like the Grand Canyon, Monument Valley, Petrified Forest National Park and the Navajos Native American reserve. The center of Arizona is a region that is always sunny. Common to be found in this area as well: urban agglomerations, like the capital, Phoenix, as well as the Sonora deserts which is known for its saguaro cacti known for its height. In South Arizona, the Far West makes the western lifestyle come to life (for example place like Tombstone and Bisbee), even though the West is composed of multiple bodies of water. In effect, it is in this region that the Colorado river meets the Sea of Cortez. 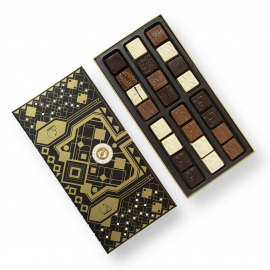 If you live in Arizona, without a doubt, you know that it really isn’t easy to find chocolate, and it is even harder to find artisan-created chocolate. 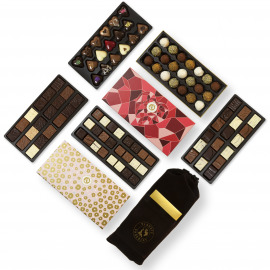 Hence the interest to use our gift delivery service shipping to Arizona all put together by your favourite chocolatier Planete Chocolat. 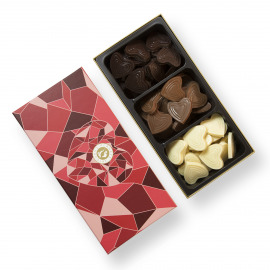 Discover our online boutique where you can browse caraque, praline and ganache assortments of all sorts of different flavours. 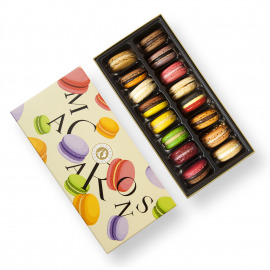 Then, select your gift box and receive your order soon after that. 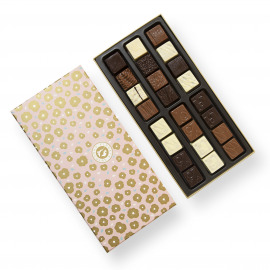 Our chocolates are carefully packaged to conserve all of their deliciousness. 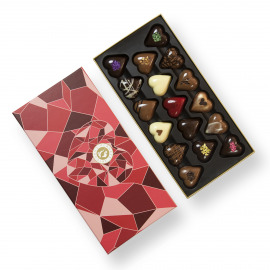 All that’s left to do is to enjoy these delightful chocolates yourself or to offer them to somebody else! Since they come from our factory in Brussels, we are sure whomever you are sending them to will appreciate their birthday or end of year gift! 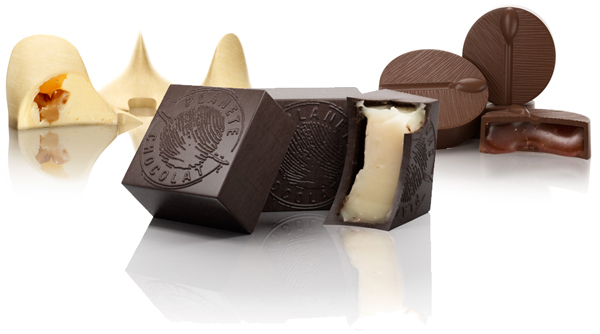 In order to guarantee a quality delivery service to Arizona, we wrap your chocolate in a special isothermal package invented by cooling specialists if temperatures tend to be high. Your chocolate is sensitive to heat and fragile, therefore it is protected from impact and kept at a temperature under 20 degrees until it arrives at its destination. Thus, quality and taste are always guaranteed.